How Quickly Does Mold Grow In Your Building? I’m sure everyone understands that different kinds of molds grow at different speeds, on different surfaces, and under different conditions, but most experts agree that mold can begin growing within 24 to 48 hours after a water damage event in a building. 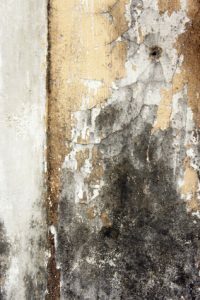 Every mold growth situation is unique, but the solution to prevent the likelihood of mold growth in the building should always be to engage a qualified water damage restoration contractor to get rid of the excessive moisture or water within the area immediately. Failure to rid the building of the excess water or moisture problem within that one-to-two day time frame means you are far more likely to be dealing with a major mold issue in just a couple days. The goal is to dry the building quickly, thereby preventing mold growth. If in doubt, it’s better to just have the work done as soon as possible, especially in areas that are dark and confined. Often, property owners fail to realize how a small water damage (flooded walls, floor, or ceiling) can escalate into a devastating disaster of damaged building materials and ultimately… Mold. Customers, guests, employees and other building occupants will certainly be affected. A potentially serious legal liability can become a real threat to your financial status, and a mold contaminated building can cause enough health issues that your health is also vulnerable. Too often, people believe a small toilet or sink overflow can be wiped up and it “will dry on its own!” Unfortunately, this is usually not the case, and usually requires an expert specializing in drying buildings. Specialists, like Water Extraction Team (a PREP Certified firm) have the right training, moisture testing tools, equipment and skill to get it dry and give you the peace of mind that you need. Your carpeting, drywall, cavities within the building that have open space, and various types of wood are susceptible to mold growth. Mold can also grow on surfaces that aren’t porous, so long as it has sufficient moisture and a source of nutrition (dust, dander, lint, etc). Just like all plant life, mold needs “fuel” (or food) to properly disperse and wet wood has this in abundance. Also, it’s important to remember that mold prefers environments that are around 68ºF, and which are also dark and have a high concentration of either water or humidity above 60%. 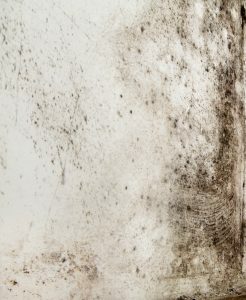 While mold can and will grow in these conditions, that doesn’t mean that you won’t find mold under other circumstances. It also doesn’t mean that visible mold is your only concern; the spores that most mold varieties produce can become dormant, and then re-emerge after a lengthy period of time. First priority: get it properly dry; following IICRC protocols. If it has already deteriorated to a possible Mold contamination, hire a professional mold remediation company (like Water Extraction Team), so you will be giving your building the best opportunity to both eliminate the current threat of mold, and the future potential of mold growth reoccurring. Remember, however, that you do have roughly two days or less to deal with the problem before it could potentially become both more dangerous and more expensive.